The LED Hookah Lights Set is one of the most versatile hookah lights sets on the market today. It is a safer option to using glow sticks in the water and will not go inside your hookah vase, reducing any health risks at the hands of awesome light effects. 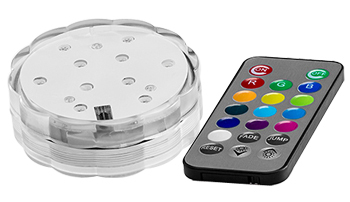 This hookah lights set offers total control thanks to the remote features. It has 13 different color settings to choose from and total control over light fade and jump! You can put on a 100% custom light show with your hookah! 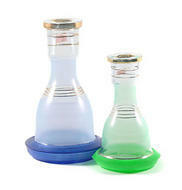 The LED Hookah Lights Set is meant to be used underneath the glass hookah vase and should not be submerged in water. 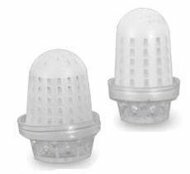 This LED Hookah Lights Set may be used with Vapor Glass Hookahs that have a raised glass bottom and will not work with all Hookah models in the market.